It’s hard to believe we are just about to start the month of November! It will be a time of learning about families, our feelings, the letters ‘E’ and ‘F’, Thanksgiving, our everyday handwriting and math skills and more. Before beginning November we are going to say goodbye to October with our Fall Party on Monday! Monday is our Fall party!!! Looking forward to a fun time!!! We will continue to work on recognition of numbers 1-10. We will also be matching numbers with a corresponding set of objects using egg cartons and plastic eggs. We sing many songs at school that the children know well. Please encourage your child to share them with you!!! Hello parents! We are excited for our fall party this week! We are going to continue learning about the season of fall, about mother animals in their babies, and this week we will be focusing on the letter I. We are looking forward to our Fall party on Monday October 31! The children are excited to see each other’s costumes and celebrate the season! This week’s letter is G. We’ll make bunches of grapes, goats and goldfish swimming in a colorful bowl! We’ll practice writing upper and lower case Gs and the numbers 2 and 3. With measuring cups and spoons we’ll make our own granola ( toasted oats, raisins, Cheerios and honey ). The children can mix and measure: trying and tasting is always optional! 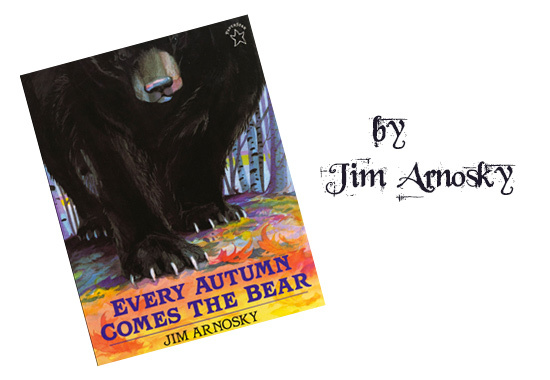 We’ll read Every Autumn Comes the Bear by Jim Arnosky, talk about our five senses and discuss what the bear is seeing, tasting, hearing, smelling and touching. We’ll have a game of mystery scents and the children will be challenged– noses only–to identify cinnamon, lemon, vanilla, onion, coffee and orange! I get raked up in a bunch!! What a great month of October! We are learning new routines for our school day and having fun playing with our friends throughout the day! We enjoyed singing our “Fall Leaves” poem, “Where Is Thumbkin”, “Itsy Bitsy Spider”, and lots more! The four year old class shared their pumpkin song with us at snack time – it was so much fun to hear them sing! 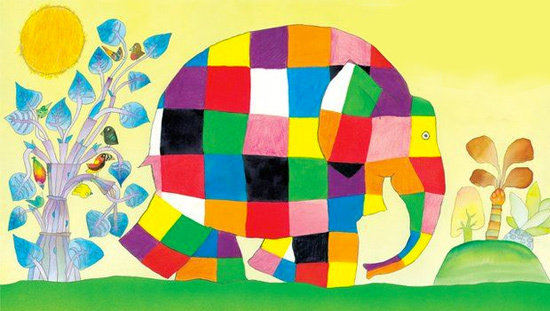 We worked on the letter D projects and started the letter E.
We have completed the color pages in our school workbook and will be moving on to the letters. 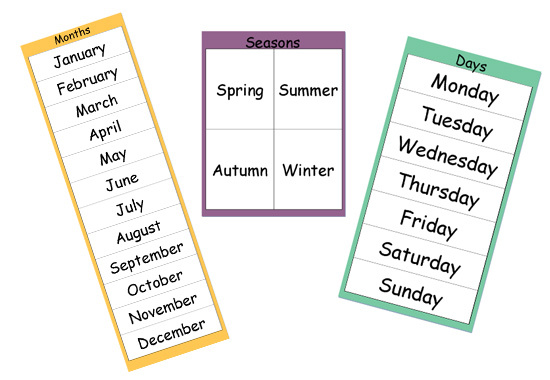 At circle time we will talk about the weather changes, the calendar, the seasons, days of the week, and the months of the year. Outside play is sooooo much fun with our friends! We had a terrific week and month in school and look forward to November! During circle time, students are learning about the days, seasons, months and observing the daily weather. The flag salute is done daily and holding the flag is a very special job that everyone wants to do. We promise them they will each have a turn as we keep track by writing their names down. In addition to singing the alphabet in English; we also do it in sign language and Spanish (up to the letter of the week.). Be sure to ask them to show you! The children continue to recognize and learn the spelling of their names and their friends’ names as we review name cards each day. This week we will continue working with the letter ‘Dd.’ Students will write the letter along with previously introduced letters for review. They will be making their dinosaurs named after them. I will be Mrs. Quartuccisaurus! We will be using candy corn and pumpkins seeds as manipulates for math (counting groups to 10) and in fine motor activities. Math topics will also include one to one correspondence and writing numbers 1-5. We will do a science lesson on exploring the parts of a pumpkin and sponge painting with the pumpkin theme. Show and Tell for our 2nd group of students will be on Wednesday. We will do this upon returning from our ShopRite Trip. If your child will not be in they are welcome to bring in the next day they are at school. If you can’t remember if your child is in this group, please message me. We’ve been making great progress with our little group! The children have gotten into a good routine sitting for circle time. We have begun doing flashcards learning about a variety of topics. One of them that has been the children’s favorites has been mother animals and their babies and their different names. We also have been doing a song for each the letter of the week so please encourage your child to sing some of them for you. 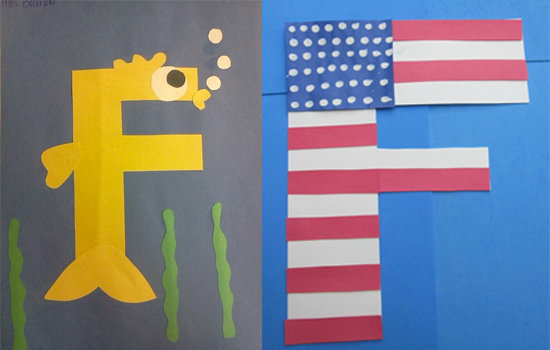 This week’s letter is F. We’ll make F flags and fish and use goldfish crackers for a math counting, sorting and graphing activity. We’ll search through our F box and the children will identify dozens of F items and words: fox, frog, flag, flower, fork etc. We’ll practice writing 4s, 5s and Fs and continue working on writing names. With orange, purple, green and black spiders and a large web we’ll practice color and number identification. Look for our Halloween jack-o-lanterns and candy corn decorations. Together we’ll make a large scarecrow with circles, squares, rectangles and triangles. At circle time. we’ll talk about friendship and make a friendship circle. We’ll do the calendar, check the weather and sing our days of the week and months of the year songs! We had a great visit from the Randolph fire department. The children learned so many new things about fire safety. They enjoyed their time with the firemen and taking a tour of the fire truck. They received a fire safety book and hat. Thanks to the Randolph fire department! We continue to practice our letters A, B, and C.
We had fun learning the letter D and making our letter D ducks. This week we will start the letter E.
At circle time, we will practice our colors, calendar skills, the weather changes, sing our finger-play songs and read our Halloween books. We will learn our new poem, “Falling Leaves” and practice our colors by coloring the poem page. We are enjoying our time learning about fall, the season is such a fun-filled learning environment. Outside play with our friends is fantastic as we now know each other’s names and have fun playing together! School is a fun place to be – Remember to wear your smile! Next week our focus letter will be ‘D’. Students will identify words beginning with ‘D’, write the letter and complete other activities with this letter. As always, we will continue to review prior letters and concepts. We will continue our fall unit with leaf rubbings and fall animals. A squirrel poem will be introduced. Math will include writing numbers to 5 and one to one correspondence. We will be using egg cartons for number practice in the coming weeks. If you have an empty egg carton you can send in with your child it would be greatly appreciated. Looking forward to a fun week!! Our class had a blast with the fire department last week! This week we will be reviewing the F and moving onto the letter G. We are starting to work with different textures now that the kids have settled in and are really enjoying ourselves! Math skills: we will be working on the shape circle this week and counting purple circles placing them together to make grapes on the vine. We’re ready for our visit from the Randolph Fire Department on Monday, October 17. We’ve had fire drills, lessons on fire prevention and safety and made our own fire trucks! 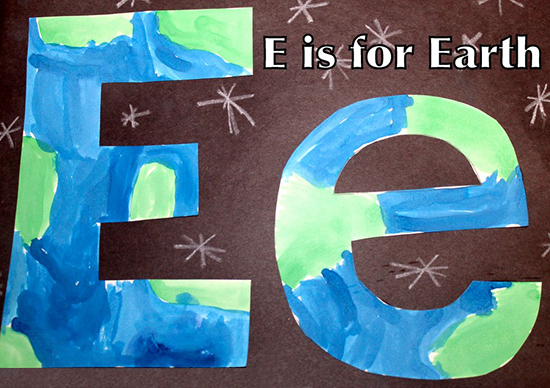 This week’s letter is E and we’ll make elephants and ” e ” earthworms and earths. We’ll practice writing upper and lowercase Es and numbers one and eleven. We’ll have a simple science lesson on static electricity. Ask your children about our rice crispy/ balloon experiment! With acorns ( paper ) and candy corn we’ll do math number matching, counting and sorting. 5 Little Acorns is this week’s poem. 5 little acorns sitting in a tree. Along came Mr. Squirrel as hungry as could be! At circle time, we are using name cards, learning to follow directions, taking turns and listening to learn! We had a great week at school! 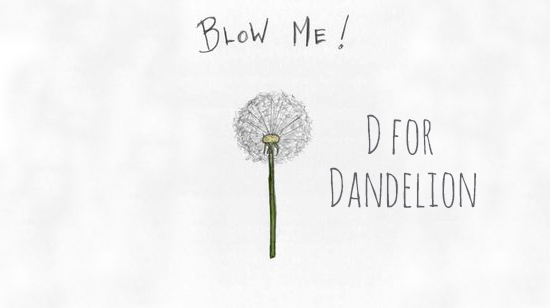 This week we will review the letters A, B, and C.
We will introduce the letter D and work on letter D projects. We will learn about fire safety and have a visit from the Randolph firemen and the Randolph fire trucks! Our music class song, was one in which we pretended to be a fireman. It was so much fun! We are continuing to learn our colors, shapes, and numbers in a fun, hands-on environment. At circle time, we will practice our calendar skills, talk about the weather, the seasons, and sing our finger-play songs. Our new song will be,” Twinkle, Twinkle, Little Star ”. Our new story will be, “Llama, Llama, I Miss My Mama”. We will continue working in our school workbooks – reviewing our colors. Outside play is always a fun place to be with our friends! We had a terrific and fun-filled week at school and look forward to next week! This week we will continue focusing on letter C. We will also be leaning about ways to keep healthy centering on exercise. 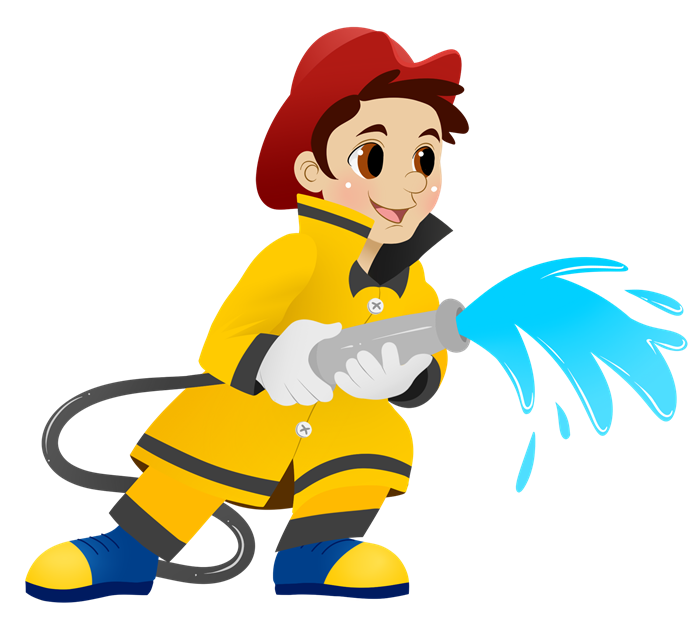 It is Fire Safety Prevention Week so we have many fun and educational activities planned for that. We will also continue enjoying all the things this great season has to offer. Our first show and tell for the first half of the class was so much fun! We are very excited to see the second half of the class do their show and tell on the 26th for ‘D’. We have gained great momentum in this class! All the children are now enjoying and participating in circle time. We have been doing a song for each letter each week so please ask your children what songs they been singing. Below are the plans for this week. We’ll review letters A, B, C and D.
We’ll make Stop, Drop and Roll fire trucks and learn about fire safety as we look forward to our visit from Randolph’s firemen and fire trucks! We’ll have lessons on opposites and simple rhyming! We’ll use mini pumpkins and gourds for a math sorting and counting activity. We’ll learn this fall/ pumpkin poem and make a craft to go with it! the five little pumpkins rolled out of sight!!! We’ll read Make Way for Ducklings by Robert McCloskey. We’ll practice writing our names and writing letters A, B, C and D.
Wow! Time goes by fast and the first month of school just came and went. The children are getting used to the routine of our classroom. They love to come in the classroom every morning and play with their new school friends. We are learning letters, colors, numbers, and shapes in a fun, hands-on environment. We will continue reviewing the letters A, B, and C.
At circle time, we will practice our calendar skills, sing our finger play songs , talk about fire safety and have fun identifying our colors and shapes. We will do an art project for the letter C and a counting project using our finger prints for pumpkins on a vine! Outside play is always a fun and exciting place to be with our friends! We had a terrific week in school and look forward to next week! Remember to wear your smile to school! This week we will be focusing on identifying the signs of our new season. We will spend time outdoors enjoying the season’s sights and sounds. This week’s letter is ‘C.’ Students will identify words that start with C and write the letter along with projects listed below and more…. Students will be writing numbers 2 and 3 and recognizing numbers 1-10 with hands on activities. Please note that show and tell will begin this month and will be based on our letters of the month. Due to the number of students in the class, I find it best for half to do one letter the first Wednesday of the month and the other half to do our 2nd letter of the month. We will also do a beginning cutting activity. Some children are more comfortable with this than others. I will help them hand over hand if necessary. Please remember to send your child’s folder to school every day. It is the easiest way to make sure I get any paperwork sent in and you get to see your child’s hard work!!! This week’s letter is D. We’ll make dinosaurs and ducks and use dominos for a math game ( numbers 1-15 ). We’ll use dots for a patterning activity. Look for our pumpkin patch math/art project! 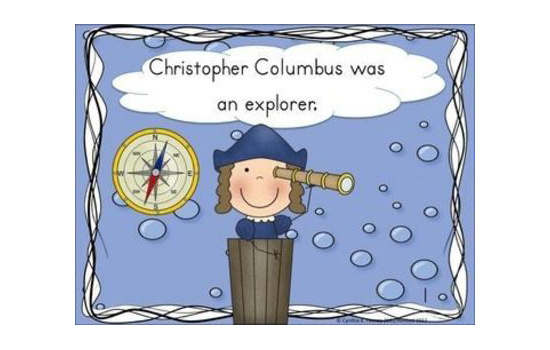 We’ll celebrate Columbus Day with a story ( In 1492 by Jean Marzollo ) and craft. Ask your children about our sink/float science experiment ( observation and predicting ). We’ll read Pumpkin Pumpkin by Jean Titherington, Sixteen Runaway Pumpkins by Dianne Ochiltree and The Kissing Hand by Audrey Penn. We’ll use autumn leaves for a counting and sorting activity. We had a fun and exciting week at school! We are enjoying playing with our new friends and continue to learn about the routines of our day! Our farm trip was a great success! We learned about bees, honey, apples, pumpkins, and so much more! We will continue with letters A and B. 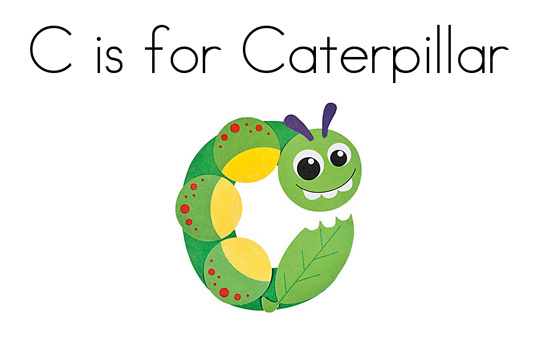 This week’s letter is the letter C.
We will read “The Hungry Caterpillar” and work on a letter C project. We will discuss the new season of fall and make colorful fall leaf wreaths. We will read a story and talk about fire safety. We are working on fun-filled activities and also in our school workbook, which includes colors, letters, and shapes. We had a terrific week at school and look forward to the new month of October and all of the month’s fun times and activities in school. Don’t forget to wear your smile to school!!!!! !